When Mary Gansallo thinks about her journey to Microsoft, one conversation stands out. At the time, she was in her senior year at the University of Maryland, and her roommate, who was also a woman of color, had asked a professor in their computer science program for a letter of recommendation. Gansallo fights this kind of thinking by finding ways to stay inspired. She did this when she interviewed to work on the Studio Team in Microsoft Core Services Engineering and Operations (CSEO), but moments of self-doubt still crept in. 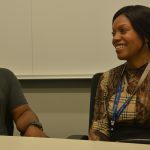 Gansallo’s story of getting to Microsoft starts in hometown Bowie, Maryland, followed by a move to Spain, Dallas, and ultimately to Microsoft in Redmond, Washington. She says that each stop has been informed by her identity. Gansallo became well-versed in software development and user experience (UX) through her schoolwork and work experience, so she understands the importance of creating a delightful experience for end users and how coding can enable this. This perspective has been helpful for her current role as a design integrator on the Studio Team in CSEO, a role that enables her to bridge the gap between designers and developers to create a more cohesive experience for employees who use build services and applications for Microsoft employees. Her current project consists of working with the Coherence team within the CSEO to create a reusable set of design patterns and components that can be used by the larger team’s designers and developers. Because she is one of the few designers on her team with a computer science background, members of her team rely on her perspective as a developer to make accurate design decisions that translate into desirable experiences for end users. For one project, because she knows that developers are often looking for source code, she added annotations to design files designers were delivering to engineers. This enabled engineers to see where they can find components to add to their code. This way, developers can utilize already existing frameworks created within Microsoft. “When developers are implementing designs, I can add a realistic point of view from their perspective and be their advocate,” she says. Gansallo enjoys how she and her teammates can help CSEO create enjoyable and seamless experiences for Microsoft employees. In addition to her perspective as a developer, Gansallo reminds her team members to keep the goal of designing for a global customer base in mind. In her everyday work, Gansallo also focuses on leading with empathy for other people’s stories and communication styles. When she goes into meetings, she pays attention to whose voice is being heard. To ensure that every employee feels heard, Gansallo says managers and peers can recognize these dynamics and invite people who might be more introverted to participate. 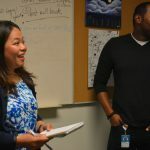 When it comes to feeling a sense of belonging at Microsoft at large, Gansallo searches for representation everywhere, and she always says hi when she sees another woman in the hallway. She remembers being struck by the number of other black individuals at Microsoft when she attended her first event hosted by Blacks at Microsoft, an employee group. She wants to see more spaces that encourage conversation about how diversity of culture and background enables more creativity and innovation. Gansallo says that empowering employees to do this starts with creating spaces where people can talk about their identity and work. 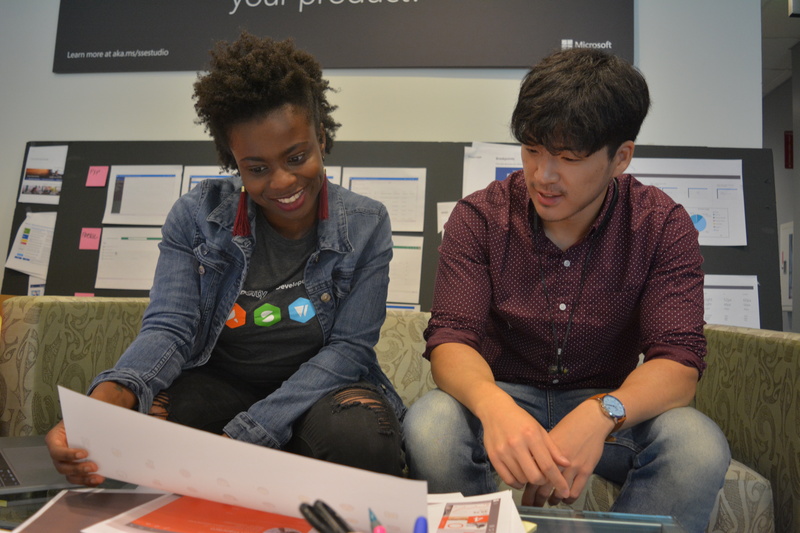 In addition to attending events, Gansallo has found community at Microsoft by mentoring an intern that she met through Blacks at Microsoft. She recalls a conversation with her mentee about how to advocate for herself and communicate with her manager about the support she needed to successfully complete her project. Gansallo is glad that she can be a source of representation so other employees who look like her don’t feel so alone, and she’s still searching for a mentor of her own. 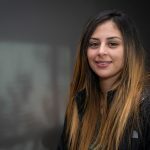 Gansallo will continue to approach her work and relationships with same empathy that she wanted to see from her computer science professor. She hopes to keep inspiring other people of color and underrepresented minorities to feel supported in their careers by leading by example.